Salsa Dancing in New Hampshire! Salsa Dancing tonight at Copacabana Salsa Night, Manchester NH. Come have fun. Lessons 7:45-9pm, dance floor opens at 9pm and the music goes till close at 11pm. Always fun! Always friendly! Leah’s Chica’s Manchster Performing at Copacabana Salsa Tonight! NEW Weekly Salsa Lessons start tomorrow, March 8th! 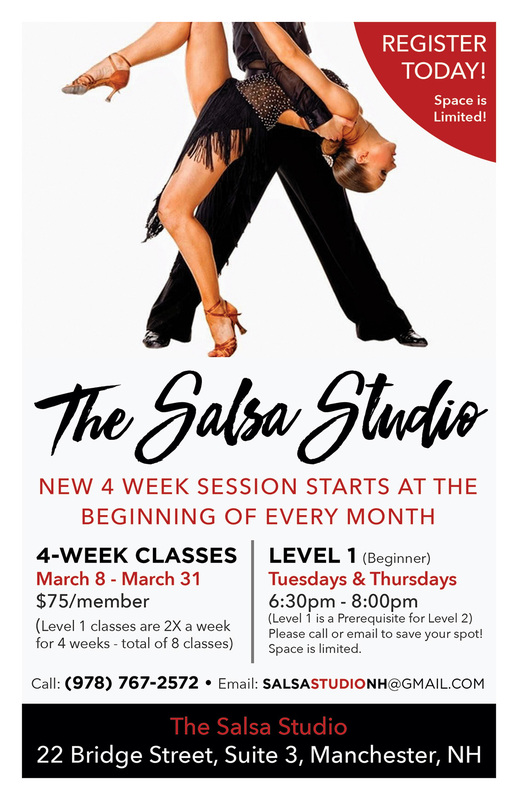 New Weekly lessons with Salsa Sabor’s Jimmy start March 8th, that’s tomorrow. This is a new program and the BEST way to learn to dance Salsa. If you come to our weekly lessons at Copacabana Salsa Night, you’ve seen Jimmy in action teaching the Intermediate Level Lessons each week. This program will follow more of a curriculum based structure they you get at Copacabana Salsa Night. This will help you improve as a dancer more quickly. Meeting twice a week will get your dancing skills in top shape. Even if you have been dancing for a while, this class will help you focus on technique and timing to make you look great on the dance floor. 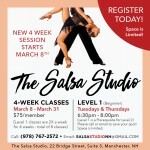 The Salsa Studio classes are heald at 22 Bridge St. Suite 3 Manchester NH. 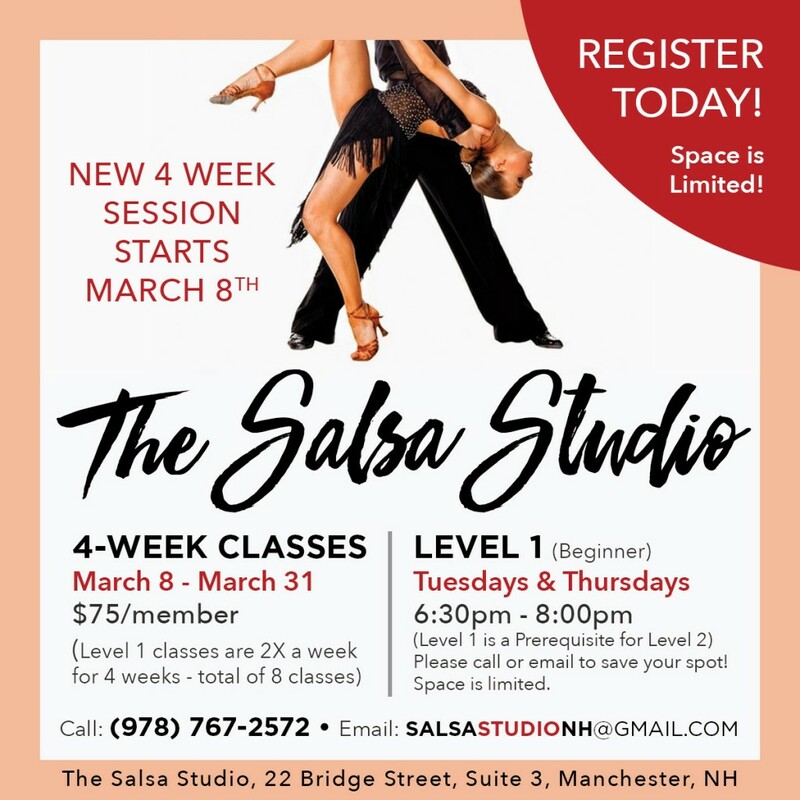 Call 978-762-2527 or email SALSASTUDIONH@GMAIL.COM to sign up and reserve your spot today! First lesson cycle starts Tuesday March 8th! Salsa Food Drive a big success! Danielle Smithers on First Wednesday Bachata at Copacabana Salsa Tonight!